I am absolutely appalled at the non-existent debate on the legacy of Shaheed al-Sa’eed, Seyyed Muhammad Baqir al-Sadr , so I have to dedicate a few paragraphs, as a reminder to myself first, and then to everybody else, on the greatness of the loss to this ummah. You can literally write volumes on why this is such a tragic loss. This great mind who had so much to give, and who did indeed give so much, yet there is not ONE article dedicated to him (at least according to my quick search), not one article discussing the consequences of his theories and what they mean to us muslims, especially those living in the west. Unfortunately, we have reduced him to an idol worshipped once a year at ‘talks’ or ‘seminars’ or nostalgic poetry evenings, or in best cases, to admire SOME of his legacy (and what use is that to US??!?!). Even to this day (more than 30 years after his martyrdom), his legacy has not been studied in earnest, in order to fulfil our duty towards this oppressed scholar (and TRUE marja’ of the religion of Islam not some part-time student of fiqh), and to benefit from the numerous methods and tools he established in order to revive a stagnant hawza. He was a scholar of religion, and not only fiqh (jurisprudence). The reality of the current world requires one to deal with contemporary issues with intelligence and awareness, and some scholars (as well as some commoners like myself) feel that our Islamic intellectual output has been somewhat, lacking, to be polite, limiting itself to the fiqh sphere (I know, for example, 99% of MSc thesis in religious studies in Iraq, deal exclusively in fiqh matters, and not even all fiqh matters). This has created a false understanding of the word religious scholar, where everyone is painted with this one brush, irrespective of the scholars intellectual output, or socio-political awareness, or understanding of the Quran, or, or or…. These days, every Ali, Abbas and Hussein can wear a white or black turban, put a hundred titles before his name and call himself ‘whatever’. Now this might be an issue the hawza has to deal with in its own way and time, but we as intelligent and aware muslims living in the west (and east) have a responsibility to address this issue with our maraji’, and demand to be provided with the methods and tools with contemporary issues that we face as communities.Anyway, I digress, one of the most important characteristics of Seyyed al-Sadr , was his unique ability to deal with numerous speciality subjects at once without compartmentalizing his studies to a single topic or contemporary issue. He was a philosopher, sociologist, theoretician, historian, jurist, economist, politician, exegete of Quran, etc etc. Indeed, a TRUE marja’ of religion in every sense of the word. Therefore, it is of the essence to differentiate between a marja’ of deen (religion) and maraj’ of fiqh; since according to the Quranic nomenclature, scholars (nay, all Muslims) are commanded to ‘taffaquh in deen’, and not ‘halal and haram’. He was a thinker, an Islamic intellectual. Religious scholars are of two kinds: those who study the available heritage for 5-10 years, maybe become mujtahid along the way, and go out into the big wide world, repeating what they’ve been taught, without much addition or deletion (like a walking encyclopaedia). There are others, however, who take in all available heritage (internal and external), digest it, and produce new and fresh knowledge, which is able to deal with contemporary issues and protect the Islamic nation from both internal and external threats and challenges. This is what I call ‘thought production’, which is a necessary pre-requisite for any other type of production. And we, as muslims, are really really poor in producing any intellectual material that is anywhere near the level that is Quranically expected of us (You are the best nation produced [as an example] for mankind.3:110). And for those who occupied themselves with reading anything they can get their hands on, al-Sadr spent 10% reading and 90% thinking (of course his level of reading and thinking which reflects even worse on us..), which just emphasizes my point. He was aware of the issues of his time. All of the above is not enough, if you are not aware of the contemporary problems and issues that face the Islamic nation. Shaheed al-Sadr wasn’t just an expert in his field, he was completely aware of what ‘the other’ was thinking, be they western philosophers, secular arab thinkers, or fellow scholars, on top of the problems that faced his followers and the Islamic nation as a whole. He knew when to speak, when to remain silent, when to apply the correct juristic rulings. This is called insight (or baseerah), which is different to knowledge or piety, yet he possessed all three virtues, where many of his contemporary scholars (and those that followed) lacked one or more. He was brave. What makes a marja’ truly unique is not his knowledge or piety or even his insight and awareness, but his ability to manage the affairs and guide his community and the Islamic nation (if the opportunity arose). Now this requires a certain type of bravery and spiritual power, balanced with wisdom and freedom from arrogance or nationalism or racism towards people of other cultures. The marja’ needs to be out there facing the world and its socio-political, economic and spiritual (doctrines and fiqh) problems head on. What will add here as well, was his bravery to critique both himself and the school of thought he represented. He was after all, one of the foremost ‘mujjadid’ (reformer) of his time, establishing new methods and tools and ideas that challenged the status-quo. A true scholar is able to balance preserving his identity and reform his reality at the same time. So what can you deduce from the above? I’ve come to the conclusion that Shaheed al-Sadr’s role in this world was no different to that of Prophets (ulema of my ummah are like the prophets of bani Israel). And he managed to live up to this responsibility as much as he could in the circumstances surrounding him, and early martyrdom. So it’s time to go back and revisit this great man’s legacy, analyse it, digest it well, take from it what we can, and develop it to the standard required in order to solve our contemporary issues. No more accepting the (internal/external) status-quo, it’s time for action and reform. We need more Sadrs, and Mutahharis, and Shariatis and Tabatabais. في مثل هذا اليوم الموافق للتاسع من شهر نيسان عام 1980م رحل عنّا سماحة آية الله العظمى الإمام الشهيد السيد محمد باقر الصدر(رضوان الله عليه)، وما زلنا وبعد كل هذه العقود من السنين نستشعر حجم الجريمة النكراء التي اقترفها النظام البعثي المقبور وفداحة الخسارة التي مُني بها العالم الإسلامي ـ بل والعالم أجمع ـ بفقدان مثل هذه الشخصية الروحية العظيمة والعقل العلمي الخلاَّق. ليس بوسع هذه الدقائق أن توضح أبعاد هذه الفاجعة أو أن تبين عمق هذا العقل الجبار وما قدمه من أفكار على المستوى العلمي أو ما كان باستطاعته أن يقدمه للعالم فيما لو بقي حيّاً حتى يومنا هذا. يعرف هذه الحقيقة أولئك الباحثون الذين أطلعوا على تراث الإمام الشهيد(رضوان الله عليه) بوعي ودراية دون من يتعامل معه كذكرى احتفالية سنوية تلقى فيها القصائد الشعرية وكلمات المديح أو من يجمد هذا التراث في مجموعة محدودة من الأفكار المدرسية التي يتلقاها على مقاعد الدراسة الحوزوية فقط. يدرك جميع من له اتصال بأروقة الفكر المعاصر مقدار الضغط الذي يتحمل مسؤوليته المشتغلون بشؤون هذا الفكر ومسائله، والأسئلة التي يثيرها والإرباك النفسي والفكري الذي يخلّفه في عقول الكثير من شرائح مجتمعاتنا, ليس أقلها هذا التدفق الهائل للمعلومات والأفكار والقيم الذي تقدمه وسائل الاتصال من انترنت وتلفزة فضائية وغيرها. هذا دون أن نتحدث عن النظريات الحديثة في عالم السياسة وإدارة الحكم والدولة، أو نُظُم إدارة الاقتصاد والمال، أو النظريات الاجتماعية بشأن قيم الفرد والأسرة. هذا الواقع الجديد هو ما يُشعر البعض منّا بأزمة الدراسات الإسلامية وضيق أفقها حين تختصر مفهوم الدراسة الدينية بدراسة الفقه, بل وتختصر الفقه في جزء ضئيل منه هو عبارة عن أبحاث بعض الأبواب الفقهية المعروفة كالطهارة أو الصلاة أو الحج. حينها يتم اختزال مفهوم “عالم الدين” بمفهوم “الفقيه” فقط ويصبح جُلَّ ما يتطلع إليه الدارسون هو معرفة مسائل هذه الأبواب دون الرؤية الشاملة لما تحفل به حياتنا المعاصرة من تنوع اختصاصات وتعدد حقول علمية واتساع في ما تفرزه من أفكار وقيم واعتقادات يتجاوز كثيراً ـ سواء على مستوى المضمون أو على مستوى المنهج ـ مجرد أن يكون المرء عالماً بقضايا الفقه والأحكام الشرعية بصيغتها التقليدية تبعاً لتقسيم الأبواب الفقهية المعروفة. هذا هو تحديداً أحد تصورات أشكال الأزمة التي تمر بها معاهد الدراسات الدينية وهو واحد من أهم مصادر الشعور بالإحباط بشأن أولئك المتصدين لمعالجة ـ أو هكذا يفترض بهم ـ هذا الواقع الجديد، وتنامي اعتقاد البعض بعجز أمثال هؤلاء عن استيعاب المستجدات في عالم الفكر والواقع فضلاً عن المشاركة الجادة في حل ما تنتجه من أسئلة وقيم ومفاهيم. إن واحدة من أهم خصوصية أستاذنا الشهيد(رضوان الله عليه) هي هذه القدرة الفريدة من نوعها على توزيع اهتماماته على أكثر من اختصاص وانشغاله بأكثر من حقل معرفي دون أن ينغلق على فرع واحد من فروع المعرفة الإنسانية. وإلقاء نظرة على إنتاجه الفكري، مهما كان مستوى هذه النظرة وحتى لو لم تكن من أهل الاختصاص, يتضح أن الإمام الشهيد الصدر لم يكن مجرد فقيه فقط, بل كان الفيلسوف والاقتصادي والمؤرخ والمنظر السياسي و… ومن هنا كان بحق “مرجعاً للدين” لم يتخلف عن أي موقع أريد له بحسب وظيفته المرجعية أن يكون فيه أو يتصدى له وهو ما يختلف كثيراً عمَّا نلاحظه اليوم في بعض المتصدين لهذه المهملة الجليلة ممن تقعده الخبرة والإلمام بالواقع المعاصر, الفكري والحياتي, عن أداء وظيفته بالنحو الذي ينبغي. من هنا نحن نعتقد بضرورة التمييز بين المرجعية “الدينية” والمرجعية “الفقهية” وأن من شأن الخلط بينهما ومنح الأخيرة جميع صلاحيات ومواقع الأولى يخلّف الكثير من الأزمات والتناقضات. لا يقتصر مفهوم كون الإنسان “عالم دين” على مجرد دراسته للعلوم الدينية ولا حتى على سعة إطلاعه على ما تحفل به أفكار ونظريات وآراء. ليس ما نعنيه بهذا المفهوم هو كون الإنسان مجرد حاسوب يجمع البيانات بنحوٍ آلي, ليس مفهوم عالم الدين مفهوماً تراكمياً مدرسياً فقط, إنّما هو مفهوم حيوي متحرك يجعل من صاحبه إنساناً مفكراً مبدعاً وليس مجرد ذاكرة تتسع دون أن تعالج طبيعة مضمون هذه الذاكرة. يعني أنه يكرس نفسه ليس لمجرد “تجميع” المعلومات وإنما لـ”كيفية” معالجتها وموازنتها و”استنتاج” ما هو جديد منها.. وهذا هو ما يسمى “إبداعاً”، وهذه العملية “الفكرية” تشبه كثيراً العملية “الهضمية” التي يقوم بها الجسم؛ فكما أن المعدة تأخذ على عاتقها “هضم” الطعام الذي تُزَود به وتمنح كل عضو ما يحتاج إليه, كذلك يقوم العقل “المفكِّر” بمعالجة “المعلومات” التي يحصل عليها لينتج منها ويستخرج منها ما يحتاجه. نعم, من الصحيح أن نجاح عملية الهضم ومدى فائدتها يتوقف على طبيعة “الطعام” الذي يتناوله الإنسان وكذا هو الحال في شؤون الفكر, إلاّ أنّ أساس نجاح المرء في المجال الفكري وصيرورته “مفكِّراً” هو مواصلته بنحو دائم عملية التفكير والاستنتاج دون الاكتفاء فقط بمجرد “جمع” المعارف وتراكمها. لقد سألت أستاذنا(رضوان الله عليه) في يومٍ من الأيام ـ وهذه الحادثة نقلتها في أكثر من مناسبة ـ كيف صار السيد محمد باقر الصدر “محمد باقر الصدر”؟ فأجابني: صار كذلك بفضل عشرة في المئة “المطالعة” وتسعين في المئة “التفكير”. لا يريد السيد الصدر هنا الانتقاص من أمر المطالعة(وعليكم التفكير بأن نسبة عشرة في المئة إنما كانت بالنسبة للإمام الصدر.. فكما عساها تكون؟!) وإنما يريد التركيز على أنَّ كون الإنسان مفكِّراً لا ينفك عن التفكير والإبداع واستخراج ما هو جديد مما يقرأه أو يطلّع عليه. أولاً: يطلعنا على سيرة هذا الرجل الفذ وما يمثله لنا من قدوة حسنة في حياتنا العلمية وأساليب التعليم والتحصيل المعرفي. وثانياً: يعرّفنا على أن الإمام الشهيد لم يكتفي بكونه رجلاً مختصاً بالمعرفة الدينية والحقول المعرفية المتصلة بها, بل وإنه كان أيضاً “مفكِّراً” تهمه المعرفة والإبداع في جميع ميادين المعرفة مهما كان حقلها أو مجالها. لن يكفي الإنسان أن يكون عالماً متضلعاً بالدين ومفكراً مبدعاً في شؤون المعرفة البشرية أن يكون بذلك مرجعاً للدين بحق, ما كانه الشهيد الصدر(رضوان الله عليه) هو أنه بالإضافة إلى ذلك كان رجلاً عارفاً بزمانه، أعني: أنه لم يكن مجرد فقيه يستنبط الأحكام الفقهية ويحدد المواقف الشرعية لمقليده بنحوٍ عام, بل وكان أيضاً يعرف ملابسات واقع مقليده, بل وعموم المرحلة التي كان هو يعيش في خِضمِّها أو يشهدها المجتمع الإسلامي برمته, عندها لم يكن الشهيد الصدر عارفاً بأحكام الشرع فقط، أو عارفاً ومفكراً بكل ما تبدعه حقول المعرفة المتنوعة، بل وكان أيضاً “عارفاً بزمانه”، والمقصود من “زمانه” هو كل ما له علاقةٌ بشؤون المجتمع الإسلامي الذي يمثله أو يُعد “مرجعاً” له, سواء على صعيد سياسي أو اقتصادي أو اجتماعي.. وغيرها من الصُعد التي تتصل بأداء وظيفته بنحوٍ صحيحٍ وسليمٍ وناجحٍ. بكلمةٍ واحدة لقد كان الشهيد الصدر(رضوان الله عليه) ـ وهذا هو أحد التعابير الواردة في روايات أئمة أهل البيت(عليهم السلام) ـ على بصيرة من أمره، يعرف ما يقتضيه زمانه، يعرف متى يسكت حينما ينبغي له السكوت ويعرف متى يتكلم حينما ينبغي له التكلم، يعرف تطبيقات الأحكام الشرعية وموضوعاتها لا أنه يعرفها دون مواردها ومصاديقها. لقد حفلت حياة الشهيد الصدر بالكثير من الشواهد على أنه كان من أكثر علماء الدين بصيرةً بزمانه وأنّه من أكثر من تصدى لشؤون المرجعية وكان على درايةٍ ومعرفةٍ بأحوال زمنه ومجتمعه والعالم الذي يُحيط به. البصيرة غير الدين وغير العلم, قد يكون المرء متديناً وقد يكون عالماً.. ولكن ذلك لا يعني إطلاقاً أنه على بصيرةٍ من زمانه, ما هو رائعٌ في الشهيد الصدر أنه كان أنصع صورةٍ لهذه المفاهيم مجتمعة. ما يميّز المرجعية الدينية أنها ليست مجرد هيئة علمية تقتصر مهمتها على تحديد الوظيفة الشرعية لأتباعها، وإنّما هي نحو من “إدارة” لوضع الأمة و”تصدٍّ” لرعاية شؤونها وقضاياها لا يحدّها مكان دون آخر ولا تفصلها الفوارق العرقية أو اللغوية أو الثقافية للمجتمعات التي تخاطبها. ليست المرجعية الدينية حالة فئوية أو حزبية من شأن هذه الأمور أن تقيّدها وتقلل من نشاطها. نعم، على المرجعية أن تأخذ ملابسات كل واقع تتحرك فيه وتمتد إليه، وهو ما تحدثنا عنه قبل قليل في الخصوصية السابقة حين قلنا: إن على المرجع أن يكون عارفاً بزمانه بصيراً بأحوال مجتمعه وهو ما كانه شهيدنا الصدر في مرجعيته، إلا أن هذا لا يعني أقلمة المرجعية بقدر ما يعني معرفتها لواقع الأقاليم التي تنهض بمهمة كونها مرجعية لها في قضايا الدين. كما أننا حين نصف المرجعية بكونها تصدياً لأوضاع الأمة و”إدارة” لشؤونها فلا نعني بالإدارة أن المرجعية تحل محل الدولة في وظائفها وأنها تباشر تلك “المناصب” الإدراية بنحو مباشر, إنما نعني أن المرجعية الدينية هي مؤسسة روحية وشرعية لمن يرتبطون بها، تهتم بشؤونهم فيما يتعلق بهذا الاتجاه. وهذه مهمةٌ بالرغم من جلالتها وخطورتها تتطلب بالإضافة إلى كل ما تقدم ذكره مما وجدناه في مرجعية هذا الشهيد العظيم من كونه عالماً ومفكِّراً وبصيراً بزمانه, تتطلب أيضاً شجاعة وروحاً مقدامة على خوض هذه الأمور وليس شخصية ضعيفة أو مترددة أو متهيّبة. لقد أثبت تاريخ المرجعية الدينية أنه الأشد احتراماً لما يسمّى اليوم بالشؤون الداخلية للبلدان ولكن هذا لا يعني أن المرجعية اعتزلت شؤون أتباعها أو رفضت بيان موقفها من مجريات الأمور فيما يتعلق بأتباعها؛ إنما يعني أنها تركت التدخل التحريضي في شؤون تلك البلدان واحترمت الواقع السلمي لمجتمعاتها بل ودعت إلى توحد الكلمة ورص الصفوف وترك الفرقة والاختلاف. نعم هذه هي مبادئ راسخة في تاريخ المرجعية الدينية الشريفة, ولكن وفي الوقت ذاته, فإن المرجعية لم تتخلى عن دورها ووظيفتها في أداء مسؤولياتها في الدفاع عن أبنائها وحمايتهم ونصرتهم. هذا الأمر الذي نشير إليه أعلاه لا يتعلق بعلم المرجع الديني ولا ببصيرته بزمانه وإنما يتعلق بنقطة أخرى هي عبارة عن شجاعة المرجع ومبدئيته في أداء مسؤولياته مهما كلّفه الثمن. هنا تحديداً يمثل المرجع الشهيد الصدر خير مثال وأفصح مثال في هذا الأمر.. أمر شجاعته الفريدة من نوعها وروحه المقدامة في سبيل إيمانها بقضاياها والتزامها الشرعي أمام أتباعها. The fundamental condition for the awakening of a nation – any nation – should have available decent principles that determine its goals and objectives, and that can set the ideals, and that draws for it trend in life, marching in its light, confident in its message and path, and aiming towards its objectives inspired from its principles, generous knowledge spiritual entity. What we mean by the availability of decent principles in a nation, is the existence of a correct set of principles firstly, and that the nation should understand these principles secondly, and that it should have faith in it thirdly. Therefore, if the nation was able to combine these three elements, it could create for itself a real awakening and force an overall change in its life on the basis of this principle. And it should be remembered that: ‘Allah does not change the condition of a people until they change what is in themselves’, as indicated by the Holy Quran. And our Islamic nation does not lack the main condition for the main constructive renaissance except one, for it has the principles of the religion of Islam, which is and will always remain forever strong as can be, to bear the burden of leadership and to guide the nation, and help it to rise from its relapse and inferiority to the state of moderation amongst the nations of the world, as God willed of her. The Islamic nation is united in believing in this principle, yet this faith is weak and limited in most cases, the biggest reason being the lack of understanding of this principle. The Islamic nation believes in the principle unanimously, yet the understanding is not unanimous, and this is the paradox which may seem strange at first glance. How can the nation believe in its principles and claim loyalty to it, yet does not have the correct understanding and knowledge of its concepts, laws and truths, but a few?! But this is the reality experienced by the nation since it suffered sectarian conspiracies, both covert and overt, at the hands of the crusaders and colonialists enemies of Islam, immense plots against our nation and its existence, that even ended with armed invasion. The sole purpose of the invaders, after the elimination of the international Islamic entity, would be to separate the nation from believing and understanding its principles. However, as the faith in Islam, in our nation, is stronger than those plots and colonialists plans, it was able to stand firm and win the battle to retain its faith and islamic identity. Yet the point of vulnerability was the ability of the nation to understand the principles, concepts and realities of this faith, which the invaders utilized to their advantage, as a means to separate the nation from its principles and awareness. And thus became the nation after the enemies executed their terrible plots, with no clear understanding of Islam, or know what the colonialists have fabricated as ideas and truths. In this way, we find the strange contradictions within this entity, where it is unable to understand the true meaning of Islam, yet still believing in its doctrines. And naturally, the decline in awareness and obstruction of the bright images that Islam emanates, became the cause for the decline in the degree of confidence of the faith itself and the loss of many of its power. So the issue of the Islamic nation today – having the correct principles and believing in them – is for it to commit to the understanding of Islam and to the awareness of the realities of this religion and to elucidate its eternal treasures, so that Islam encompasses the entire entity and ideas of the Islamic nation. This will propel the nation towards true leadership of the renaissance. The general understanding of the Islamic principle is necessary, then, for the nation to complete the condition of major progress and advancement. These ‘rays of light’ of Islam with which we’ve tried to reveal some of the treasures of Islam, which are part of an intellectual movement calling on the reformers and Islamic leaders to utilize them in order to understand the proper way how to open the world with the divine key which has been ignored all these years. ولكن لمّا كان ايمان الامة بالاسلام اقوى من تلك المؤامرات والمخططات الاستعمارية جميعاً استطاع ان يثبت وينتصر في المعركة فظلت محتفظة بأيمانها بأسلامها العظيم واما فهم الامة للمبدأ ومفاهيمه وحقائقه فقد كان نقطة الضعف التي نجحت فيها عملية الفصل بين الامة والمبدأ فقد استعمل الغزاة الاثمون كل الطرق والاساليب للقضاء على وعي الاسلام من ذهنية الامة وحجب اضوائه وانواره عنها بما نثروه هنا وهناك من مفاهيم وافكار وتشويهاتهم لللاسلام المشرق العظيم. وهكذا اصبحت الامة بعد ان نفذ اعداؤها فيها مخططهم الفظيع وهي لاتعرف من الاسلام شيئاًواضحاً محدداً او تعرف ما زوره المستعمرين من افكاره وحقائقه وبهذه الطريقة وجد التناقض العجيب في كيانها فأصبحت لاتفهم الاسلام فهماً صحيحاً كاملاًبالرغم من انها باقية على ايمانها به. وبطبيعة الحال ان انخفاض الوعي وحجب الصور الزاهية للاسلام عن الانظار كان سبباً في انخفاض الدرجة المعنوية للايمان نفسه وفقدانه لكثير من طاقاته الجبارة فمسألة الامة اليوم- وهي تملك المبدأ الصحيح وتؤمن به -ان تقبل على تفهم اسلامها ووعي حقائقه واستجلاء كنوزه الخالدة ليملأ الاسلام كيان الامة وافكارها ويكون محركاً حقيقاً لها وقائداً اميناً الى نهضة حقيقة شاملة فالفهم العام للمبدأ الاسلامي إذن هو ضرورة الامة بالفعل التي تستكمل الامة به الشرط الاساسي لنهضتها. اولا: العقائدية التي تسبغ على الرسالة في نظر الدعوة طابعاً تقديسياً يقينياً فبمقدار ما يرسخ هذا الطابع التقديسي اليقيني في نفوس الدعاة تزداد اندفاعاتهم وتتضاعف طاقاتهم لذلك يجهد قادة كل دعوة ان يضفوا على الرسالة التي يحملونها لوناً من التقديس العميق ويغذوا في نفوس الدعاة اليقين غير المحدود بصحة الرسالة وتفوقها على كل نقاش وجدال ليتولد من هذا الايمان اليقيني طاقة حرارية دافعة في مجال العمل والتبشير..
ومن الواضح ان طبيعة الرسالة الاسلامية تكون لها هذا الطابع في نفوس الدعاة لانها ليست نتيجة اجتهاد معين يكون عرضة للخطأ او حصيلة تجارب محدودة قد لاتصور الواقع تصويراً كاملاً وانما هي الرسالة الخاتمة التي اصطفاها الله سبحانه للأنسانية وبعث بها خاتم رسله (ص) فهي مع كونها مذهباً للحياة والمجتمع تتمتع بالطابع الديني الذي يحيطها بالتقديس واليقين المطلق. هذا هو الفارق بينها وبين سائر مذاهب الحياة التي لاتصل في عقيدة اصحابها الى درجات الدين ولاتحظى بما يحظى به الدين لدى المتدينين من يقينية مطلقة وفي ضوء هذا الفرق يتبين السر في مانطالعه من صلابة عقائدية في حملة رسالة الدين المخلصين وميوعة او انخفاض عقائدي في حملة الرسالات الفكرية الاخرى بالرغم من نبوغهم وعبقريتهم فليس عجيباً مثلاً ان نرى ماركس وهو منشئ مذهب ودعوة من اشهر مذاهب التأريخ ودعواته يقول (( انني لست ماركسياً)) بينما يقول داعية مسلم لعلي(ع)(( لو كشف لي الغطاء لما ازددت يقيناً)) فأن عقيدة علي (ع) كانت ديناً ومن طبيعة الدين ان يشع في نفوس رجاله المخلصين بهذا اليقين ويكسب هذه العقائدية المطلقة, واما الماركسية فلم تكن على ابعد تقدير الا اجتهاداً علمياً خاصاً ولذلك لم تستطيع ان تجعل من ماركس نفسه ماركسياً ولم تستطيع بعد ذلك ان تكتسب الصفة القطعية والقدسية العقائدية الابعد ان لعب الماركسيون دوراً كبيراً في رفع الماركسية الى مستوى الدين في عقائديته وقدسيته وهكذا نعرف ان الامتياز الديني للرسالة الاسلامية يجعلها قادرة على خلق جو عقائدي كامل في اجواء الدعوة..
Martyr Muhammad Baqir Al-Sadr was born in the Iraqi city of Kadhimiyya on 25 Dhil Qa’da 1934 HL (1935 CE). After completing his primary education in Kadhimiyya, he moved to Najaf, a very important centre of learning in Islam’s history. Like other Muslim scholars of his time, he managed to reach an advanced stage in Islamic studies before he had even completed his primary secular education. At Najaf he enrolled for advanced Islamic studies at the age of 12 and attended what is known as kharij (graduate studies), where students are instructed in various branches of Islamic thought and legal matters. When he was 15 he gave up taqlid (lit. emulation – the following by a layman of a learned scholar ‘jurist’ in matters of religious practice) since he had reached the age of taklif (i.e. the age of 15 becomes incumbent on a male Muslim to uphold the precepts of religion). Having attained the degree of ijtihad at the tender age of 17, he continued his studies at the seminary in Najaf under the supervision of its renowned academics, graduating in 1378/1959 CE to become an authoritative mujtahid (qualified legal jurist). His teachers acclaimed him for his academic brilliance. He then started doing in earnest what he had always loved to do: writing, researching and lecturing. His first work, which discussed his own pioneering approach to usul al-fiqh (principles of jurisprudence), was entitled Purpose of Thought in the Principles of Jurisprudence. He later started planning to publish a number of studies outlining Islamic thought as a faith and socio-political system in a modern scientific style compatible with the prevailing requirements. In these studies, he would bring Islam to the fore as an ideology, order and system, in a picture that would appeal to the contemporary world. 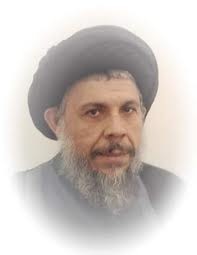 Shaheed Al-Sadr showed the failure of temporal schools as well as of materialistic ideologies and theories that disengage humans from their relationship with divine revelation. The vibrant Islamic thinking elucidated by the genius of Shaheed Al-Sadr, whether at the level of the new Islamic culture or at the level of classical studies, created a strong ideological wave that gradually swept over the intellectual landscape in the Ummah. Martyr Al-Sadr took a unique role in revolutionizing the Islamic situation in Iraq, educating its activists and directing them both intellectually and politically. On witnessing the popular support for him, the Ba’thist regime arrested him on 19 Jamadi al-‘Ula 1400 Hl (1980 CE), followed by the arrest of his sister, Bintulhuda. The malicious Ba’thist authorities murdered the Imam soon after his arrest. He returned to his Lord as a mujahid and martyr, with forbearance and anticipating the good rewards of Allah, may He be pleased with him.